Ira Gitler is a college professor and the former editor of Downbeat Magazine and The Encyclopedia of Jazz. 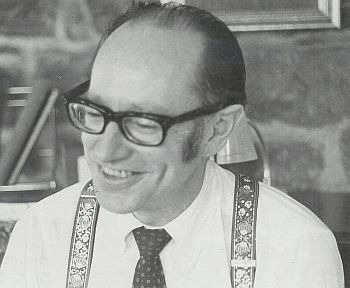 He wrote a very critical review of "Time Out" for Downbeat in 1962. 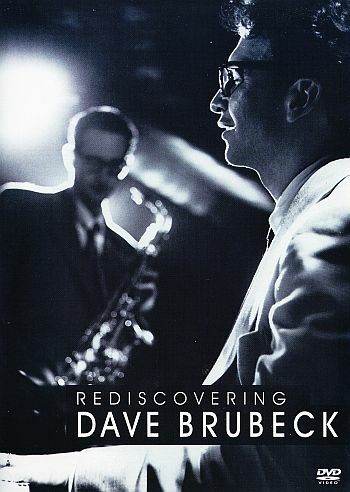 In 2000 Hendrick Smith interviewed Ira for his documentary on Dave " Rediscovering Dave Brubeck"
SMITH: When did you first hear Dave Brubeck’s music? GITLER: I first heard Dave Brubeck in the early fifties, I became more aware of him when he started appearing on Fantasy which was a newly minted West Coast label. And when I was at Downbeat, I was called upon to review Time Out which was kind of a revolutionary record using all different time signatures. My reaction to Time Out was very mixed. I didn’t like Take Five, I thought the five four was boring, repetitive, the patterns that Joe Morello was asked to play got monotonous. But on the other hand, I like Blue Rondo a la Turk and that was in nine eight. That I liked perhaps maybe I liked the theme as well, but I liked the way it was stated. So I was divided. It wasn’t just because it was in an odd time signature that I didn’t like one and like the other. SMITH: So looking back on it, do you reassess or you still come out the same place? GITLER: I think I do. I like Blue Rondo a la Turk. I love Dave’s ballads, Strange Meadowlark, and of course, The Duke was something that - and it wasn’t on that album but I liked that very much. Everyone picked up on that. In Your Own Sweet Way and The Duke became jazz standards and of course, when Miles Davis played them, that gave them the official stamp of approval. SMITH: It’s interesting, Davis could give it the stamp of approval in a way that Brubeck couldn’t. How come? SMITH: You’re saying Miles Davis’s endorsement was important and you said here was a black musician finally saying it so more blacks had to accept it. The implication is there were some reservations about Brubeck and Desmond ‘cause they were white. GITLER: That’s true. The black audience liked certain white jazz men and they didn’t like others. You had to swing in a certain way to get to the black audience. Now Stan Getz got it, even though he was considered a very cool jazzman, although he could swing hard but his sound was cool. SMITH: I wonder if you had any personal encounters with Brubeck yourself. SMITH: Talk a bit about Desmond and Brubeck. They’re about as unlikely a combination as you can imagine. You got to know Desmond, you know Brubeck a little bit. Why did they have such magic together and how did they fit? GITLER: Well I think it happens on the bandstand. Even if two people, maybe different personalities have different interests when they leave the stand if they can have a meeting of the musical minds, then you have a chemistry that’s unique and that’s what I think they had. One of my favorite records is the thing that was taped at an afternoon rehearsal at Storyville; they were just playing, the two of them. And it eventually was put out on record; it appears on a CD called simply ‘Dave Brubeck/ Paul Desmond.’ And it’s about a seven, close to eight-minute version of You Go To My Head and it’s one of the most lyrical versions of that song or any other song you’ll ever hear. And it’s the interaction of the two of them that creates it—and Gene Wright and Joe Morello and Joe Dodge and whoever was playing in the band. I think the great years of Brubeck were the years with Desmond. When the group was Joe Morello and Gene Wright, Desmond and Brubeck kind of coalesced, I think they really hit something. I think Morello brought a new sense of swing with….But I think the unlikely chemistry of Brubeck and Desmond is what made the group because they each brought something to it. SMITH: Were you surprised when Desmond and Brubeck - I mean you talk about the marvelous chemistry there - were you surprised when they broke up in 1967? GITLER: When Brubeck and Desmond parted company musically - ‘cause they remained great friends - I don’t know if I was surprised or shocked or what. I was somewhat surprised. But in this business or in any collaboration in the arts there comes a time when people want to go their own way. SMITH: Why do you think Brubeck was so controversial? 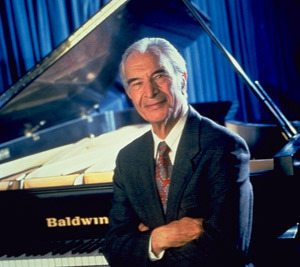 Why do you think Dave Brubeck’s music was so controversial back when he burst onto the scene? GITLER: Brubeck was controversial when he appeared because he was not in the mainstream of what was going on, although he came from jazz roots. He always talked about Cleo Brown, a boogie woogie pianist who he admired. And he certainly knew the jazz literature and, the people who proceeded him. But I think jazz people are always suspicious of anyone that comes from a somewhat classical background. ‘Oh he studied with Darius Milhaud and he’s doing some of these things that are coming from a classical standpoint.’ I think a lot of the critics just felt he didn’t swing. He was stiff. It didn’t swing in the way that jazz people were used to, the Count Basie essence of swing. The Kansas City four/four, or Ellington swinging in his way. I think people felt that Brubeck didn’t swing and that was one strike against him and it was a big strike. SMITH: Where do you think the Brubeck Quartet stands in American jazz in the second half of the twentieth century? How do you assess them? What’s his legacy, what’s his contribution? GITLER: I think the Brubeck Quartet is one of the important groups in jazz in the past half century. And I think instead of diminishing with the passage of time, I think their position has been more solidified. And I like, particularly about Dave some of the things he’s done in recent years. I think that shows the fact that he has continued to grow. SMITH: Gene Lees said, ‘Dave always was more popular with the public than he was with the critics. And I’ve gone back and I’ve listened to his stuff and think maybe the public was more right than we critics were.’ Would you agree with Gene Lees that the public’s been with him all the way or pretty much and the critics are maybe a little bit more favorable, if not much more favorable than before? GITLER: I think that today a lot of the critics have a higher opinion of Dave than they did then. But we have to remember that a lot of the critics who were functioning back then are not with us today. So it’s hard to make a real pinpoint judgement but I’d have to say that he is looked on more favorably. SMITH: Is Brubeck a major figure or a minor figure in American jazz in the last half century? GITLER: He’s had too much success in things he’s done artistically as well as commercially. And you know, it’s longevity plus maintaining a certain level of excellence and he’s done that. CBC: The Time Signature Thing, Was That Again A Combination Of Dave And Your Mind? PD: Eh that was Dave's idea, to give him ultimate credit. I still think, basically it was a dubious idea at best, but at that point we had three or four albums a year to get done. We'd done all our tunes that we put together and eh standards, originals of Dave's. And uh he said why don't we do this album and do all different time signatures, and I said OK. I was always argumentative. And for some reason I lucked out. I really did. Sort of like "Keno". He said "We got 2/4, 3/4 or 4/4, 5/4, 6/4, 7/4, 8/4, whatever. Why don't you take 5/4?" And I wrote Take Five. And I realize now that was a genius move on my part. At the time I really thought it was kind of a throw-away. I was ready to trade the entire rights, lifetime wise of Take Five for a used Ronson electric razor. And the thing that makes Take Five work is the bridge, which we almost didn't use. We really came within... I shudder to think how close we came of not using that, because I said "Well I got this theme that we could use for a middle part". And Dave said, "Well let's run it through." And that's what made Take Five, that (whistles). Dave Brubeck – Notes from the Columbia 4 CD Compilation Box Set “Time Signatures”-1994. The original beat - oom-chuckachucka-oomcha/oom-chuckachuckaoomcha - that's Joe Morello’s beat. I knew I was going to do an album of all different time signatures, and I wanted Paul and Joe to do the five-four. See, they’d be warming up backstage before a “concert, and Joe would say,” Come on Des let's play in five!” which is very difficult to do when you've never played in five. You’re always stuck with that extra beat. But Paul could do it. So I said to Paul, "Joe's got this five-four beat, can you put a melody over it? Write it for our next rehearsal." Well, "Take Five" was composed in my front room. Paul came to rehearsal with two themes. The first one was the bridge. And the other theme was the opening theme. Paul said, I can't write a tune in five. I've got these two themes but I can't get them to go anyplace." I said, "Start with this theme and make this your bridge” and Paul caught on right away. I had to fight Paul to call this, "Take Five." He said, "Nobody knows what that means." I said, "Everybody knows what that means except you, Paul!" Since its first release, I haven’t been. Able to play a concert anywhere in the world without someone screaming for "Take Five." This was inspired by an incident during our Eurasia tour, but I wrote it later. On my way to an Istanbul radio studio where they had an orchestra, I heard this rhythm played by street musicians. So when I got to the station, I said to the one guy who could speak English, "'What is this rhythm? One-two, one-two, one-two, one two- three... “And the whole radio orchestra broke into this rhythm, started improvising in 9/8 like you wouldn't believe! I put a different melody to it, but the Turks actually have a name for that rhythm, like we have a name for the blues. Goddard Lieberson, President of Columbia Records, chose "Blue Rondo" and "Take Five" for the single from our “Time Out” album and he had to fight company policy as well as his own sales department to release it. We were told it would never work, since these pieces were not in four-four time and nobody could dance to them. Here's another one from the Time Out album. The theme is derived from the call of the meadowlark. It’s maybe the most conventional song on that album. It has a kind of rubato feeling. We thought the album needed a contest to the rhythm experiments. We didn't know "Time Out" was going to be a hit, we were just were trying to break the four- four straight jacket. I'd tried to do it years before with the Octet and Trio. It didn't work then, so I tried it again. Dave Brubeck once told me that he never tired of performing Take Five: "It gives a reading of where the quartet's at," he said. Back in 1959, when the classic Brubeck Quartet introduced the piece on their album Time Out, it was meant to be a tailor-made feature for the group's drummer Joe Morello. The tempo was positively sluggish. Brubeck's vamp simply held the group together. His alto saxophonist, Paul Desmond, had traced a melody in 5/4 time over a drum pattern that Morello was using to warm up before concerts. A more unlikely set of ingredients for a hit record you can't imagine. But once it was a hit, Brubeck's jazz brain immediately found ways of evolving it. The vamp might be wacked out like the You Really Got Me riff; or Brubeck latterly took to introducing Take Five subliminally with a faraway impressionistic intro. And once in improvisational mode, the basic pulse itself might fizzle, fragment and fracture into a free flow slipstream of sound: time lapse more than time out. But Brubeck's compositional masterpiece was Time Out's opening track, Blue Rondo à la Turk. What was so great about it? It wedged ecstatic improvised blues choruses inside an owlishly clever composition; improvisation and composition, it symbolised everything Brubeck believed in. Like Take Five, Blue Rondo sported a fancy time signature. Had there been a jazz composition in 9/8 before? If so, then certainly not counted as 1-2, 1-2, 1-2, 1-2-3. Then again the time signature thing has perhaps been overemphasised. Blue Rondo was, you feel, imagined in a light-bulb-goes-off instant, its lopsided rhythm nailed there by obsessively zig-zagging supporting wall harmonies. Brubeck was walking through Istanbul when he heard local musicians playing in 9, and his imagination transformed what he'd encountered into this flawlessly realised compositional object. And again it changed over the decades, with Brubeck's improvised blues choruses increasingly digging back to his roots in eight-to-the-bar boogie woogie and Fats Waller's stride piano. Dave obviously recognised you were the next step in the band’s evolution? But you stuck it out? In the end Paul wrote ‘Take Five’ for you and you eventually became friends? Where did the 5/4 groove come from? At the time, playing jazz in fives, sevens and nines, etc, was seriously radical.